Cigar Advisor Magazine is a digital publication dedicated to providing cigar enthusiasts with entertaining and informative content. 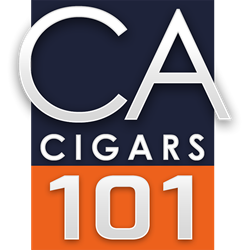 They have just updated their instructional Cigars 101 series with a piece detailing the benefits and drawbacks of electronic cigarettes as well as a guide on how to use them. So is it worth picking up electronic cigarettes? To me, yes, they are well worth picking up if you want to kick a cigarette smoking habit or just to add a little flavor to your day to curb hunger cravings. The all-new Cigar Advisor is an online cigar magazine that brings a fresh, irreverent, and down-to-earth perspective on all things cigars to thousands of smokers. In addition to educational cigar content and behind-the-scenes cigar industry articles from some of the business’s top names, Cigar Advisor delivers an array of content about a variety of topics of interest to people who enjoy the cigar lifestyle. The magazine also features cigar reviews and ratings submitted by real smokers. Cigar Advisor magazine has just published a new article entitled “Cigar Advisor’s Take on Electronic Cigarettes,” an opinion piece by Cigar Advisor copywriter Jonathan Detore. The article goes into a short review on electronic cigarettes and the benefits and drawbacks of purchasing one.